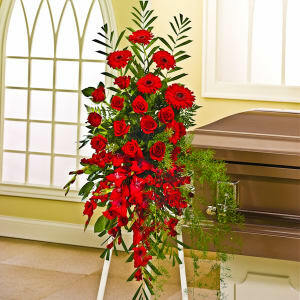 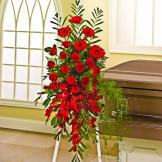 Send caring thoughts with a beautiful spray in red. 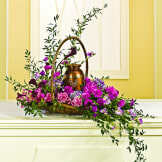 • Arrangement made of roses, alstroemeria, gladiolus, gerbera daisies, jade, sprengeri, salal and fern hand arranged in this standing spray. 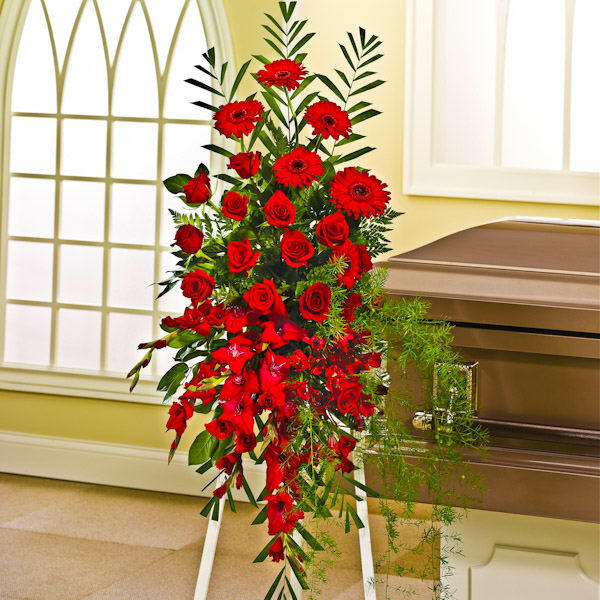 • Measures 51"H x 27"W x 11"D.
Flowers will be received by a Mountain View Funeral Home, Memorial Park & Crematory's staff. 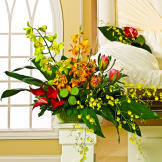 All of our flowers are designed and delivered by hand from a local florist in in Lakewood.